It’s National Watermelon Month! So if you haven't bitten into this watery treat yet, then what are you waiting for? 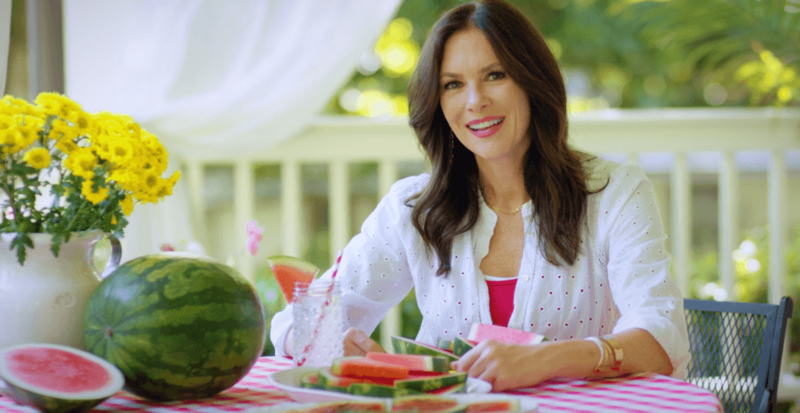 We all know that watermelons are delicious, especially during these hot summer months, but many don't realize that they are vitamin powerhouses. Lycopene is what gives the melon its red color, and also helps to prevent heart disease and even breast and prostate cancers. 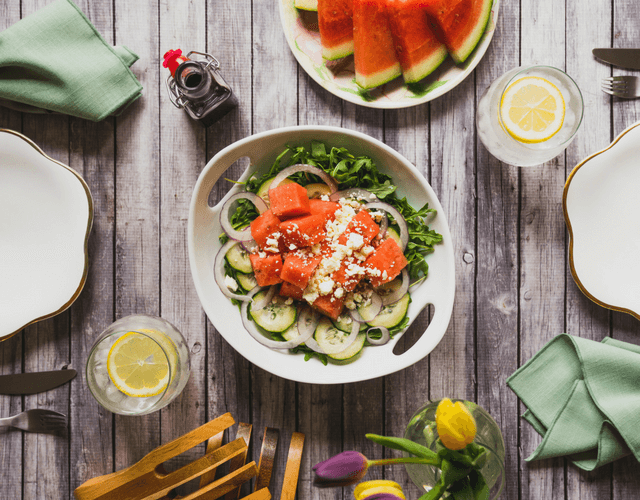 One way to add more to your diet is by adding some watermelon to your salad. Yep, your salad! 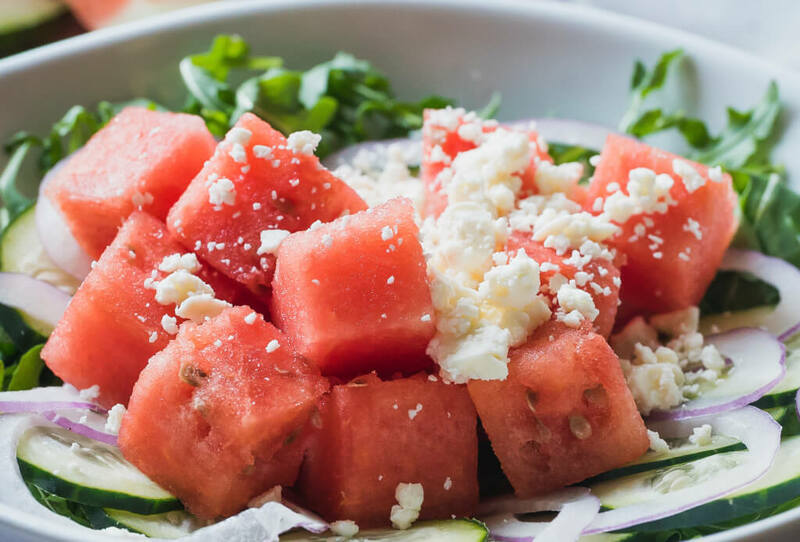 Check out this delicious and refreshing recipe that we made with the Crisp & Fresh Watermelon – so easy, so tasty, and sure to be a staple summer salad. 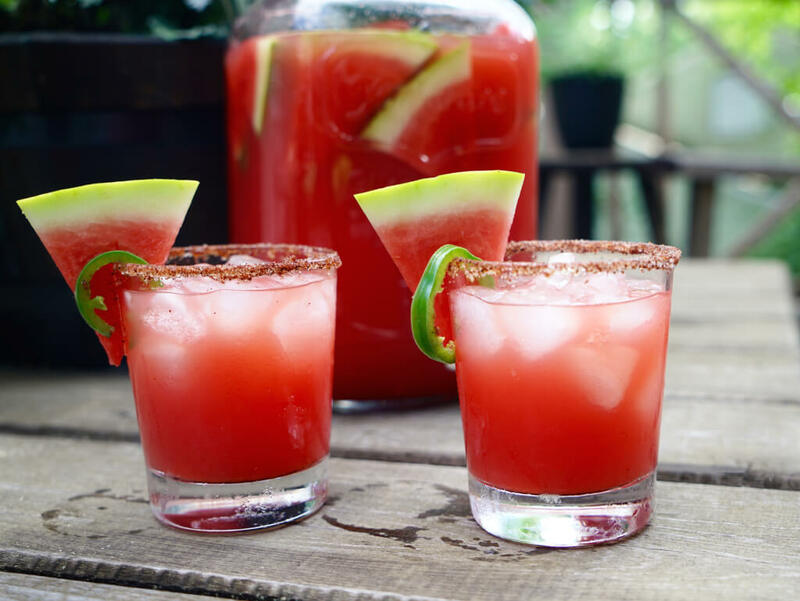 Watermelon can also load up your body with anti-oxidants, amino acids, Vitamins A, B6, and Vitamin C. One way to add more of these to your diet is by drinking watermelon. Add some cut up squares to your water, sparkling water, or make a mocktail for a refreshing drink. Or get into the "happy hour" spirit by adding your favorite spirit. 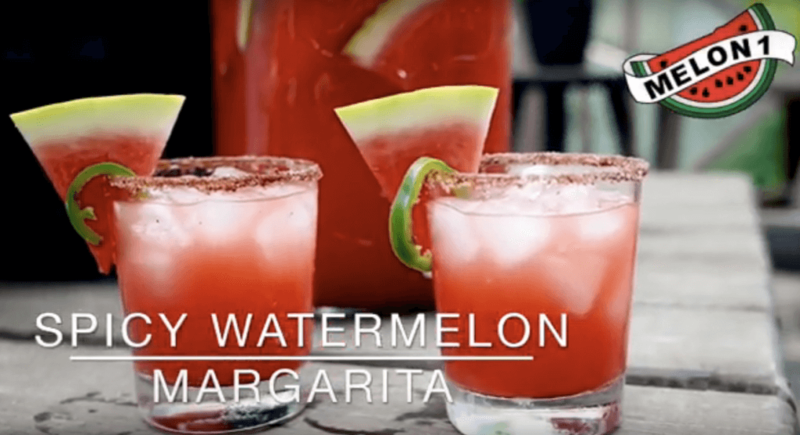 We're giving you something to cheer about with our own concoction in this Spicy Margarita. Watermelons are 92% water, making it the perfect go-to when you’re spending time outdoors, as it will keep you hydrated. But it’s also a fruit that is fat free, with only has 40 calories per cup, and is low in sodium. More exciting news! There’s a new watermelon on the market that you’re going to love - The Crisp and Fresh watermelon! Crisp, fresh, and even though it’s juicy, it doesn’t drip! It has ultra-firm flesh which stops it from dripping – keeping all those tasty juices on the inside and not dripping down your shirt! It’s non-GMO and a pure, new variety brought to us by Melon 1 – the watermelon experts! Melon 1 has been passionately growing watermelons since 1936, now representing over 20 family farms throughout the East Coast of the U.S. 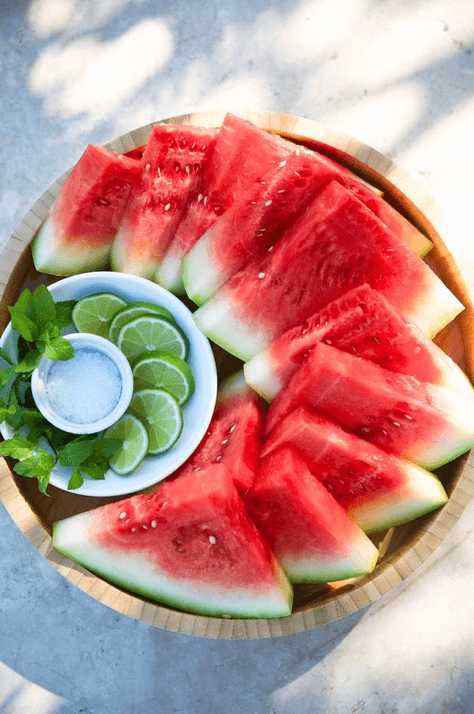 So, in honor of our love for watermelons, good health, and just delicious eating, enjoy National Watermelon Month and go cut up some Melon 1 watermelon this summer. 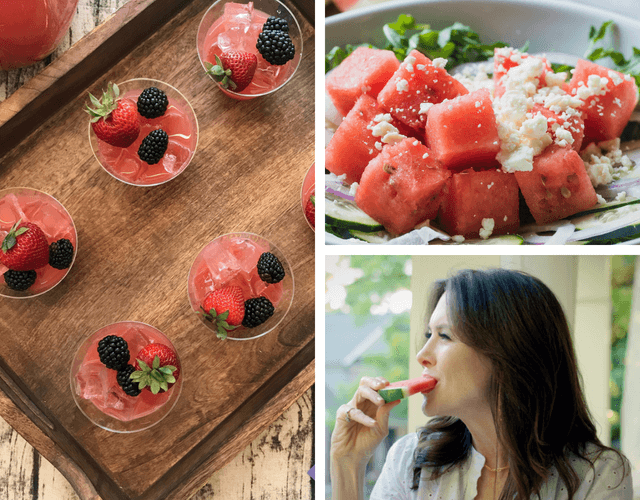 Enjoy watermelon in the above recipe suggestions, toss it on the grill, or stick to the classic and just eat a big slice. Cheers!